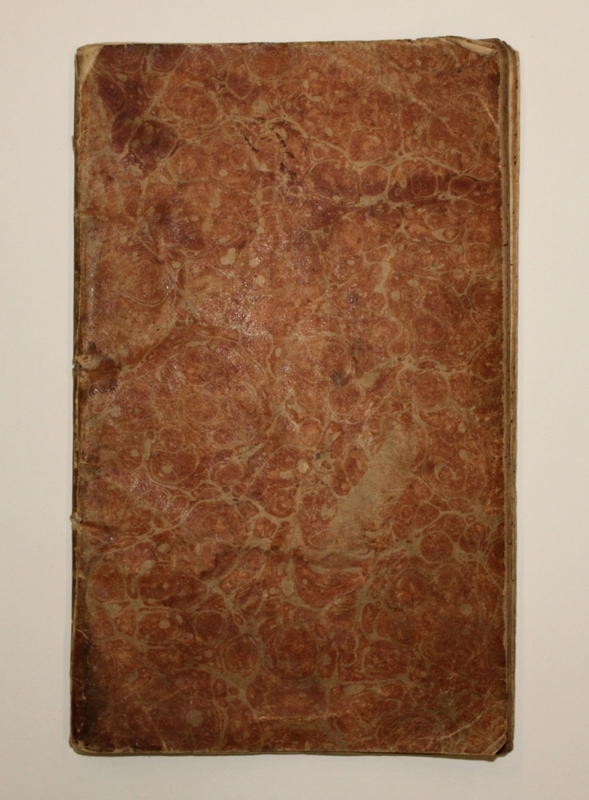 Derby Museums have recently purchased a 19th Century Derby porcelain worker’s notebook. 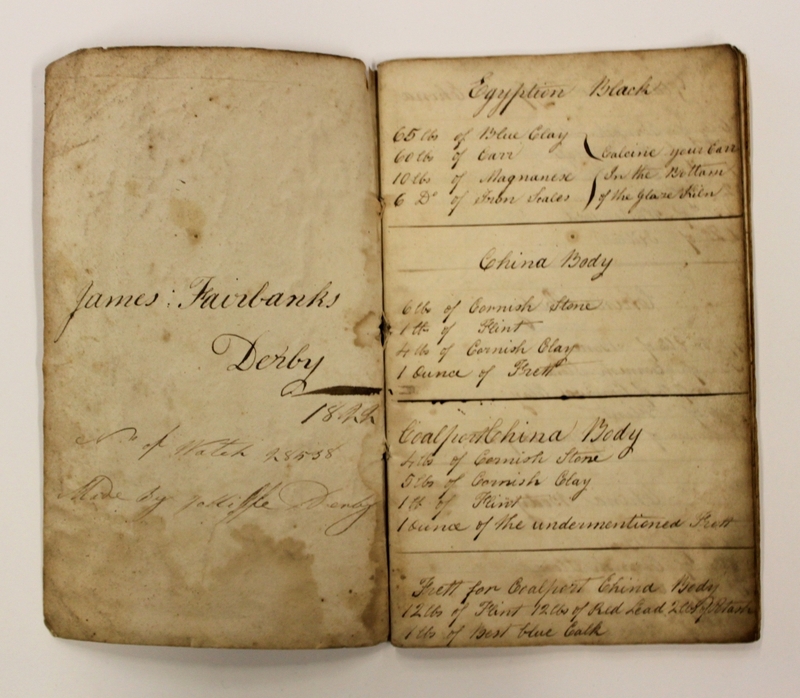 The inside cover is inscribed ‘James Fairbanks, Derby 1822, No of Watch 28538’ and contains recipes and receipts for the production of Derby porcelain. James Fairbanks was a potter who in 1822 succeeded William Porter as overseer of the useful ware department at the Nottingham Road Factory, where he remained until his death in 1837. Bamfords auctioneers pointed out that the titles of some of the recipes perhaps indicate the level of industrial espionage. It also illustrates the amount of competition between the factories of the day to produce the best and most commercially successful products. This is a rare addition to the important porcelain collection that the museum holds. What a wonderful find! I *love* old lab notebooks and diaries, and this is brilliant. Well spotted! We could play a guess the missing word game! We might have to as my colleague at Derby sent through the info for this one, so I will track down the word from him. My guess is ‘vague’ or ‘incoherent’. Any other gueses welcome. My guess would be something like “frivolous,” “flowery,” inaccurate,” or “insane”! Turns out there wasn’t a missing word, but that words were just in a slighly odd order – I need to pay more attention! Anyway, have made the change on the text above. I am now intrigued as to what some of the titles of the recipes are….. I am going to see whether we can get more info and pictures from Derby Museum. I would love to see some of those “indicative” recipe titles myself. Thanks for the update!